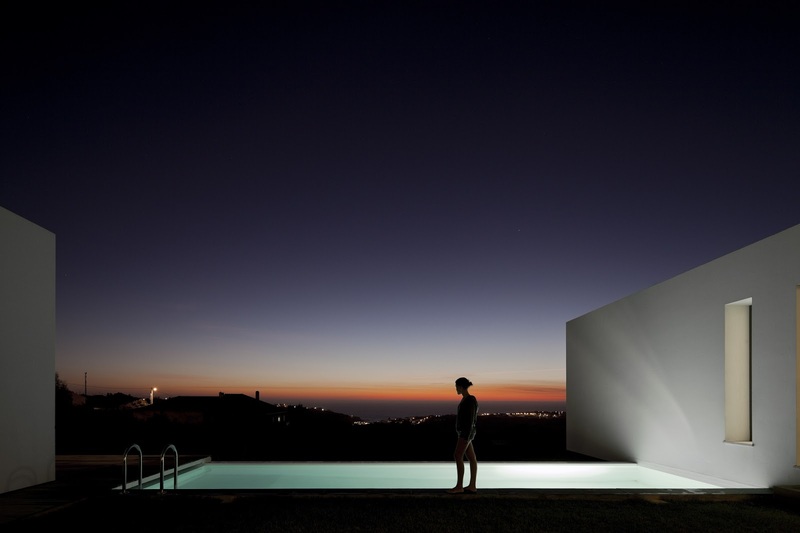 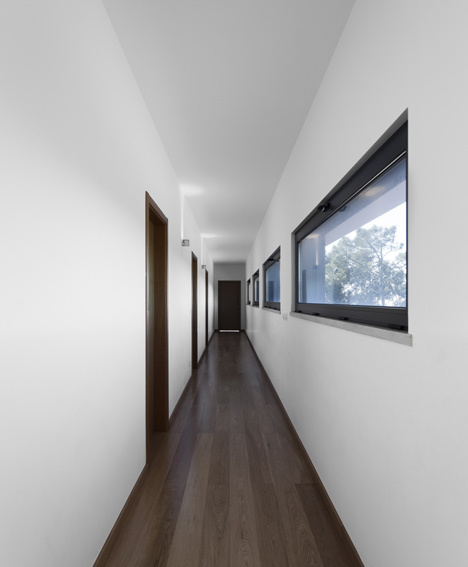 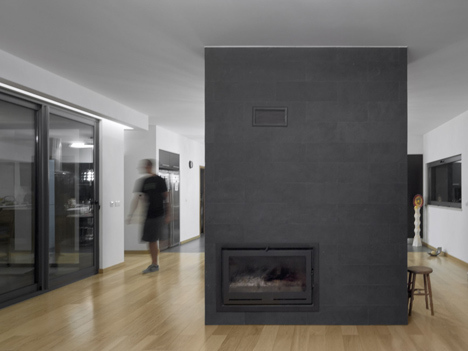 Portuguese architect Jorge Graça Costa has designed the hill-top U-House for professional surfer José Gregório and his family. 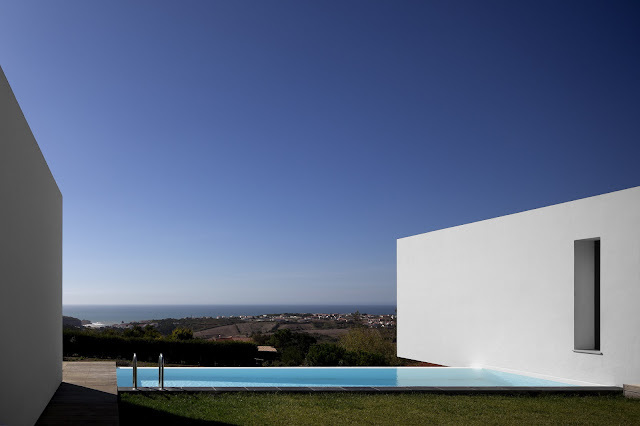 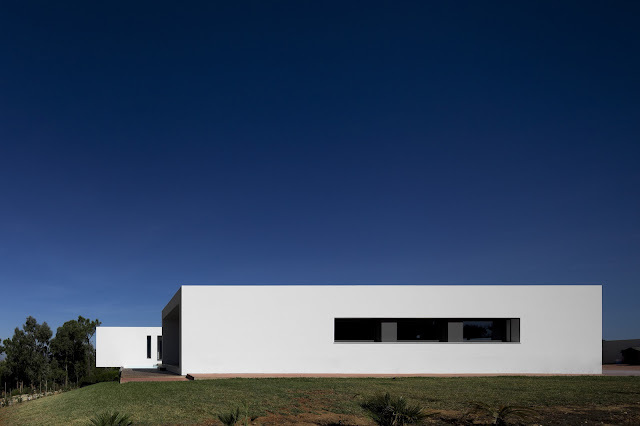 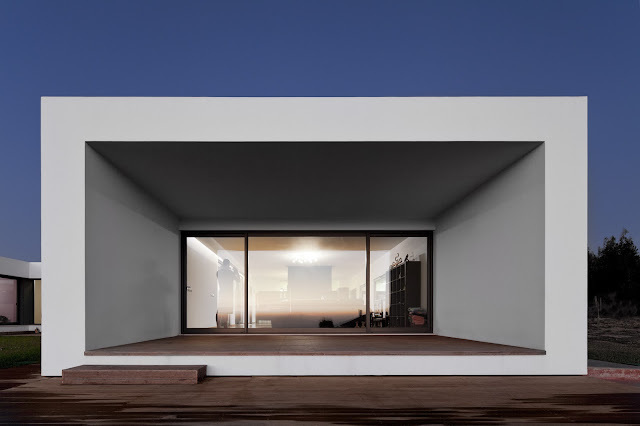 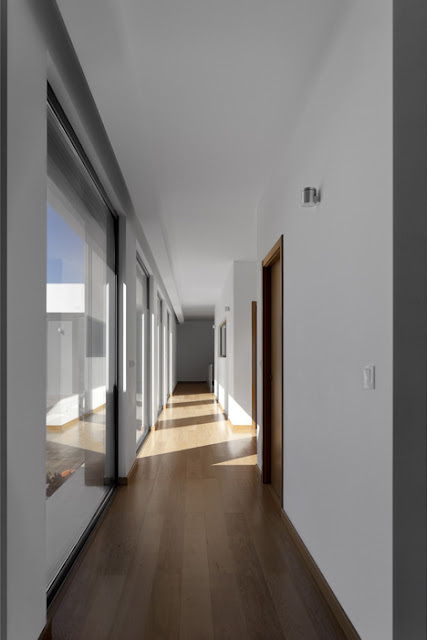 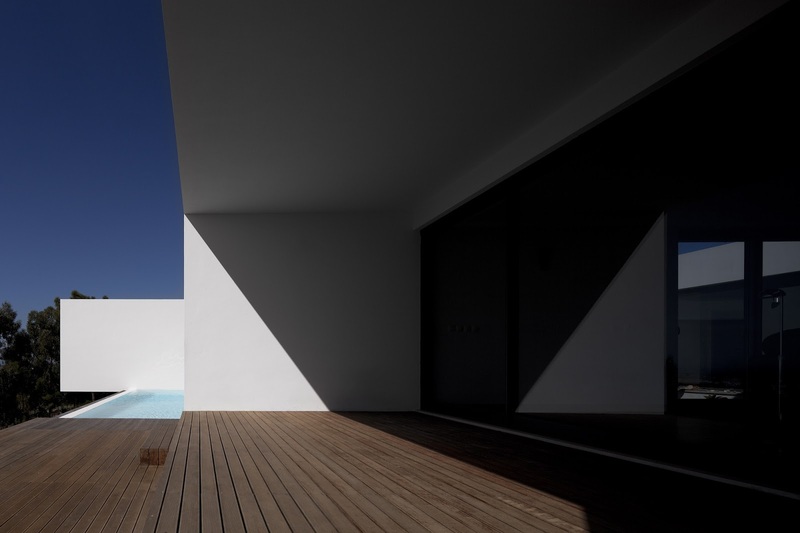 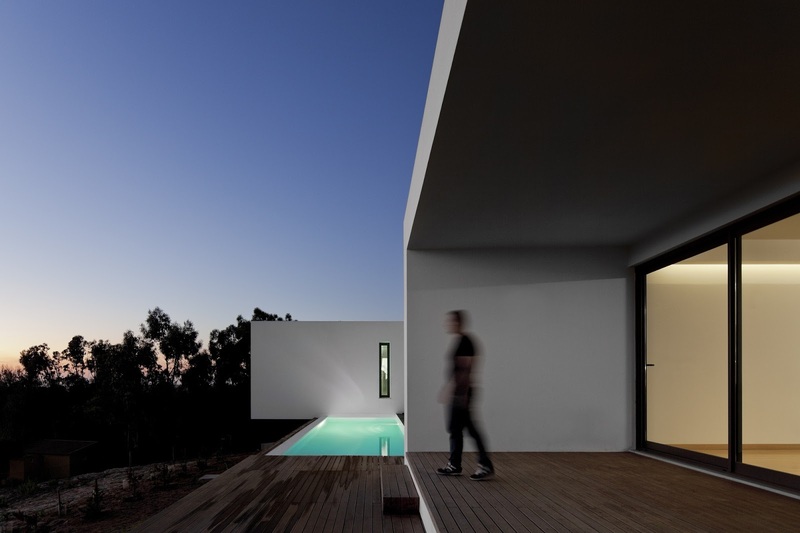 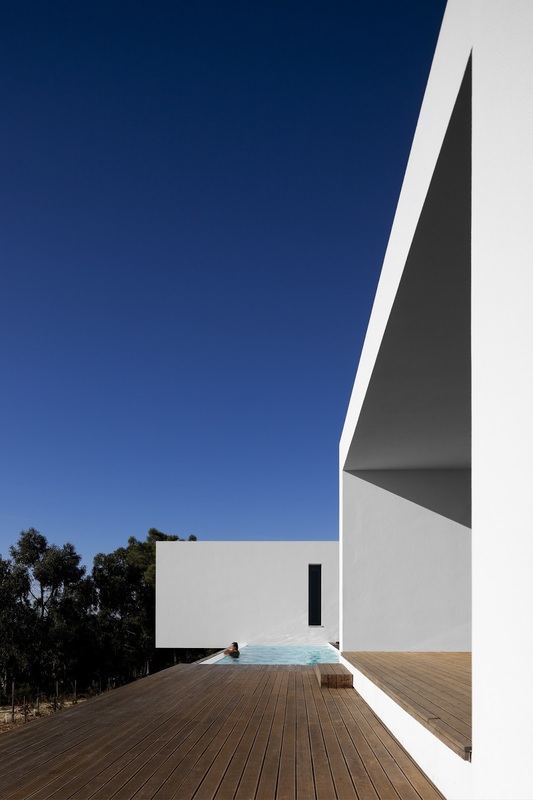 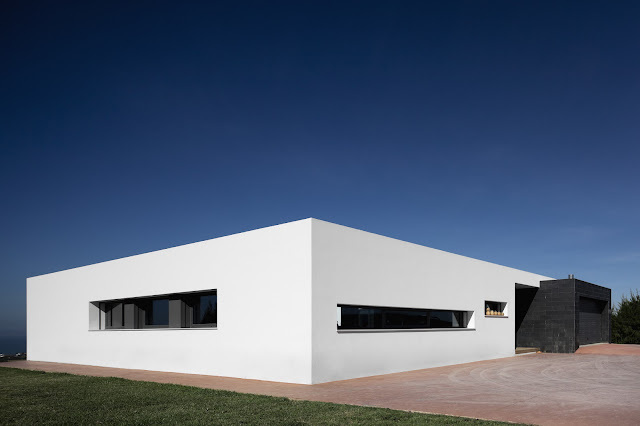 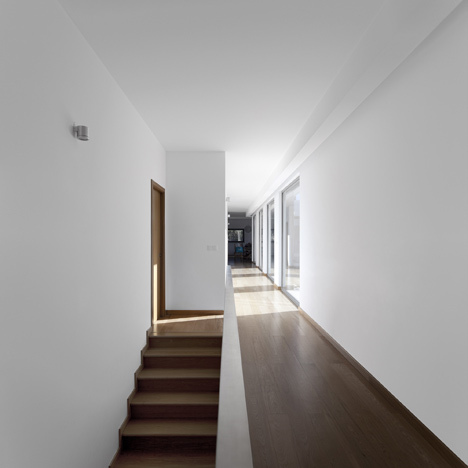 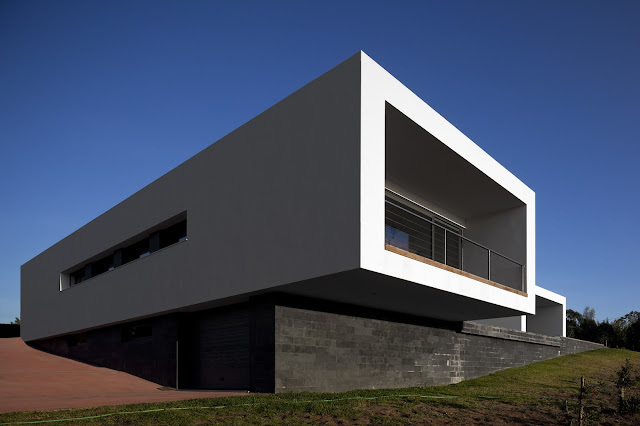 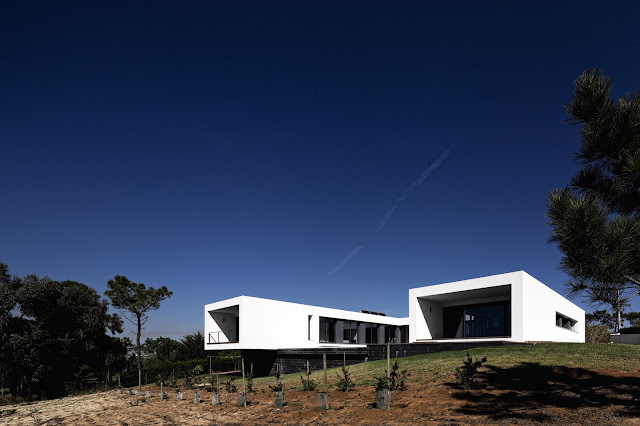 Located in Ericeira, Portugal, the design of the U-shaped house was inspired by traditional Mediterranean courtyard homes whose layout developed over centuries to provide shelter from windy climates (as is the case of this westernmost part of Europe facing the Atlantic Ocean). 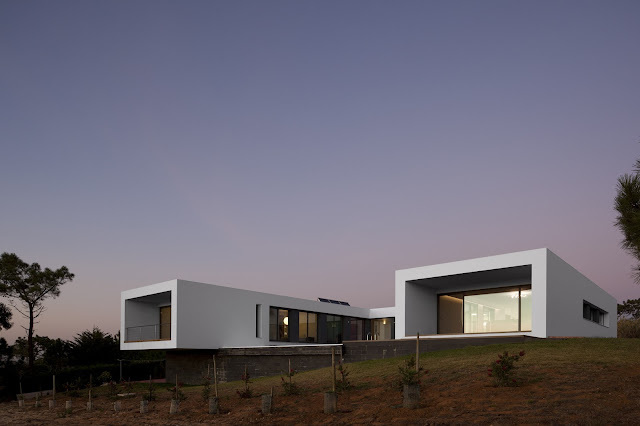 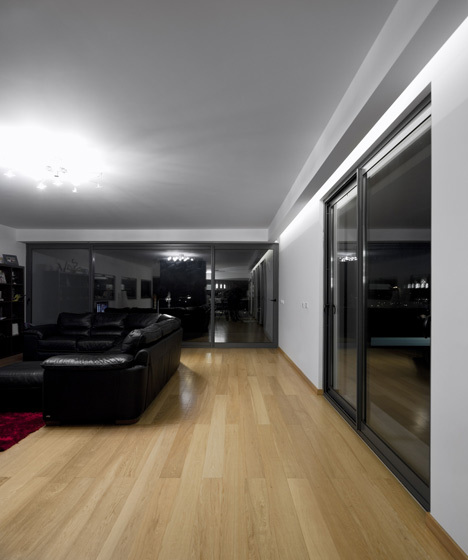 A number of sustainable features was included in the design, namely cork as a primary insulation material, passive design (natural heating and cooling), floor and water heated through solar panels supported by biomass heating, microclimate environments created by the materials used in the patio and in the non-chlorinated pool, and rainwater harvesting (collected in a pre-existing well) for irrigation proposes.